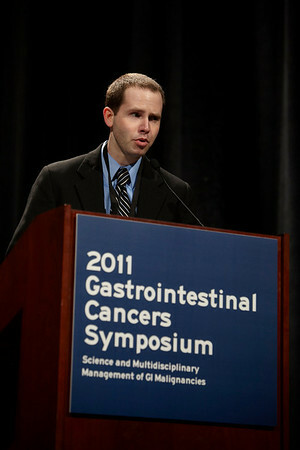 San Francisco, CA - 2011 Gastrointestinal Cancers Symposium - Dr. N.P. Campbell presents Abstratct #4 during the Oral Abstract Session at the 2011 Gastrointestinal Cancers Symposium (GI) meeting at the Moscone Center West here today, Thursday January 20, 2011. Photo by © Todd Buchanan 2011 Technical Questions: todd@toddbuchanan.com; Phone: 612-226-5154.